This Collection contains oil paintings from several School of Paris artists: Blaquiere, Grandmaison, Hardy, Hasegawa, Marchand des Raux, Sanh, Tanaka, Ubeda, Coignard, Priking, Goetz and Grandjean. These are all artists that were active in and around Paris after WWII. Roger Blaquiere was born in Paris in 1933. He attended the School of Applied Arts and the National School of Beaux Arts. He won the Prix d'Art Monumental in 1956, the Prix Casa Velazquez in 1959 and the Grand Prix de Rome in 1963. Blaquiere has had one-man shows in Madrid as well as in Paris. 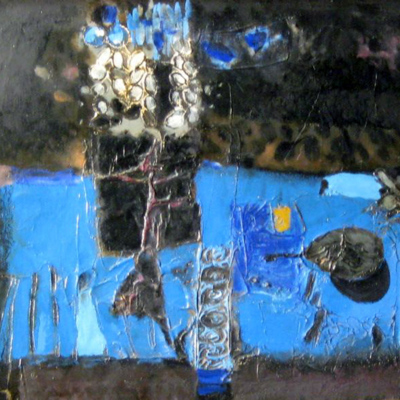 From 1958-1963, he participated in the Salon of Young Painters at the Museum of Modern Art. 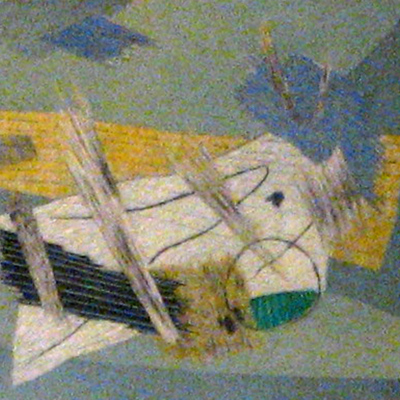 He exhibited in the Salon d'Automne in 1959 and 1960. He was one of twenty young French painters presented by the Museum of Modern Art and the Alliance Francaise in a traveling show in the United States. Stuart Preston, critic of the New York Times, reported that he and one other painter in the Exhibition gave promise of a fine future as an artist. Both France and the City of Paris have purchased his works. James Coignard was born in Tours, France in 1925. He remained there until he was 17, then went to live in Paris. During the war, he returned to Touraine. While there, he met the painter Marchand des Raux. When Marchand des Raux returned to St. Jean, Cap Ferrat, Coignard joined him and worked in the studio belonging to Marchand des Raux. He made his home with this painter for many years. Coignard set himself up in a pottery studio in St. Cloud, continuing to paint and draw and to exhibit in the galleries of the Left Bank. In Paris, he met other painters and took part in the difficult life of Paris. He married in 1956 and abandoned Paris and pottery. He went to live on the Riviera. He had one-man shows in Sweden, Geneva, Venice, Paris, New York and Berlin. 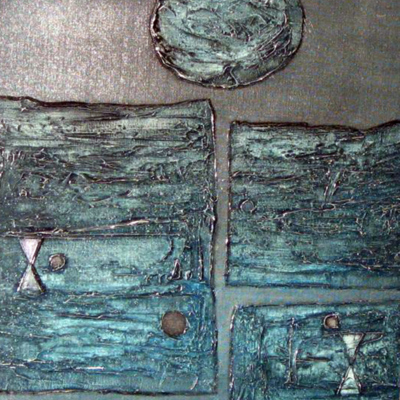 He also took part in a School of Paris exhibition in Dublin in 1960 and in Tokyo in 1961. He is represented in the following museums: Dublin Museum, Museum of San Diego, Museum of New Mexico, Historical Society of Montana, La Jolla Art Centre, Oklahoma Art Centre. 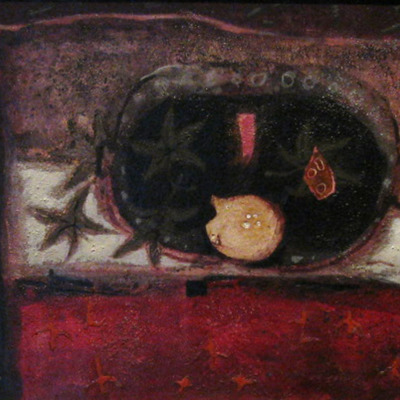 Group Shows: 1956, Won first prize in Barcelona show of Fine Arts. 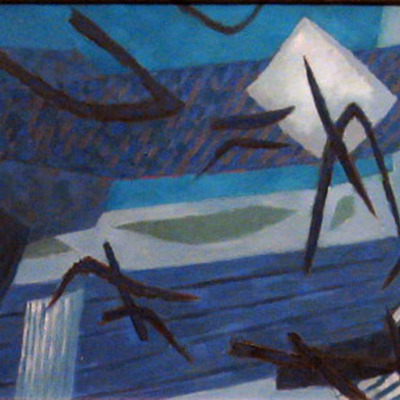 1957, Second Prize young painters & Juan Gris Prize honorable mention. 1959, Alexandria Biennale. 1960, Ecole de Paris & Galerie Charpentier. 1961, Salon de Paris (Japan). 1964, Biennale de Menton. 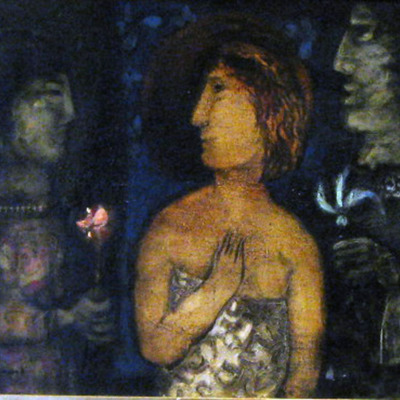 1964, First Prize Dorothy Gould. Henri Goetz was born in New York in 1909 and arrived in Paris in 1930. He became a naturalized French citizen in 1949. Goetz had 32 one-man exhibitions in Europe. He is well known for his work in pastel and engraving as in painting. He started as a surrealist painter and developed into one of the foremost in abstraction. All of his work is done from nature, he made his sketches on the spot and then did the painting or pastel. In 1947, Alain Resnais did a film on him. He was a highly respected teacher as well, having two academies in Paris and being professor at the American School in Fontainebleau. He is represented at the following museums: Museum of Modern Art, Paris. Museum of Grenoble. Museum of Eliat. Museum of Newark (NJ). Museum of St. Etienne. Museum of San Diego (CA). Raymond Grandjean was born in Lyon, France in 1929. 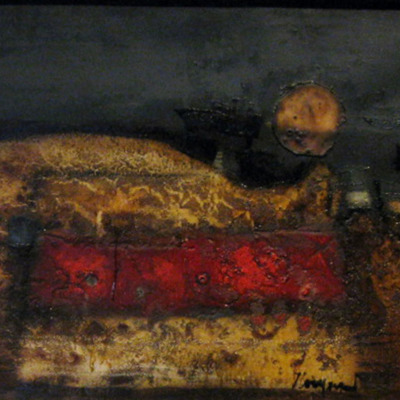 He was independent in his artistic development, becoming a non-figurative painter in 1951. He had one-man shows in France since 1954 and participated in group shows in Italy and Germany. He is represented in the Museum of Lyon, and in the Museum of Modern Art in New York. Louis de Grandmaison was born in Le Havre in 1928. He studied for a time with Andre Lhote. He had one-man shows in Paris since 1960 and participated in many group shows in the Museum of Modern Art (Paris), Luxembourg and New York. He is represented in the collections of the City of Paris, the Museum of Modern Art (Paris) and in private collections throughout Europe and the United States. Shoichi Hasegawa was born in 1929 in Japan. His first one-man show was in Japan in 1957. He went to Paris in 1961 and worked in the studio of S.W. Hayter. 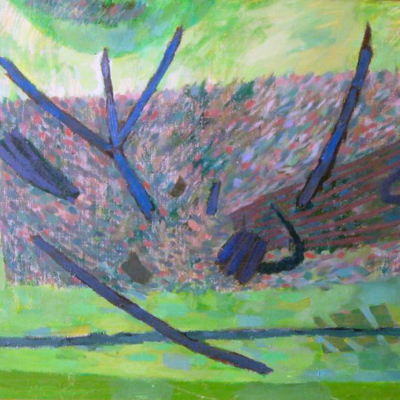 He exhibited in the Salon of Young Painters, and in the Salon des Independants in 1962 and in many important group shows in Paris, London, Portugal, South America, Australia and Canada. In 1964, he had a one-man show at the Galerie La Nouvelle Gravure in Paris, at the Galerie Philadelphie (Paris), Stockholm, and Yugoslavia. His works are in the following museums: Victoria and Albert (London), Bibliotheque Nationale (Paris), Museum of Modern Art (New York), Norrkopings Museum (Sweden) and the French Ministry of Cultural Affairs (Paris). Louis Marchand des Raux was born in Touraine in 1904 and went to the south of France in 1920. He started to paint in 1934 and was completely self-taught. An eminent collector, Adolphe Schloss, encouraged him and purchased his first canvases. He was the chief landscapist at the chateau "Ile-de-France" belonging to the Baronne Ephrussi de Rothschild. His work reflects the rich colors of the flowers that surrounded him. He exhibited widely in France, London and Italy. 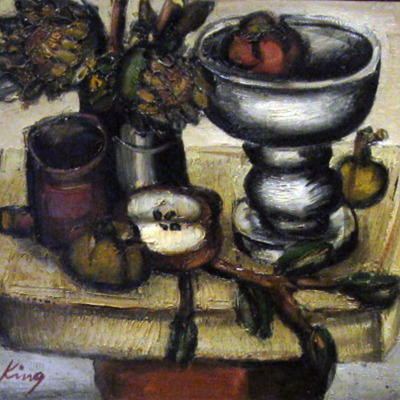 Franz Priking was born in 1927 in Germany. In 1947 he was attracted to painting and abandoned his college studies in Weimar, entering the Bauhaus in Weimar (the college founded by Klee and Kandinsky). In 1948, he entered the Academy of Berlin, the class of Max Pechstein. As a student, he traveled to France in 1950 and lived there from then on. He exhibited in Germany, London, Geneva, throughout France and the United States. Georges Sanh was born in 1909 in Hanoi, his father was French. He is a self-taught painter and expresses himself in a very personal way. He has been exhibited in Sweden, Norway, Switzerland and the United States. Shu Tanaka was born in Tokyo in 1908, the son of a traditional painter. He studied at the Beaux Arts in Tokyo and was in China in 1935-1936. He went to live in Paris in 1954. He has exhibited in Tokyo and in many shows in Paris, particularly in the Musee Galliera with the Japanese painters of Paris in four successive years. He was influenced by the School of Paris tangentially but retained the Japanese spirit in his paintings. Augustin Ubeda was born in Spain in 1925. 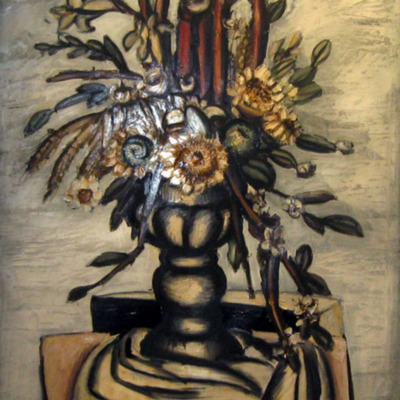 He attended the Beaux Arts in Madrid from 1944-1948 and exhibited throughout Spain from 1949-1953. He won a scholarship to study in France and stayed in Paris from that point on. In 1957, he won the prize for young painters and had his first one-man show in Paris. He has exhibited in France, Switzerland, England, Sweden, Canada, Italy, the United States and all over South America. Realism. The date of attribution is 1959. There may be Safari compatibility issues.